Siri has long been one of the most broken experiences on iOS. 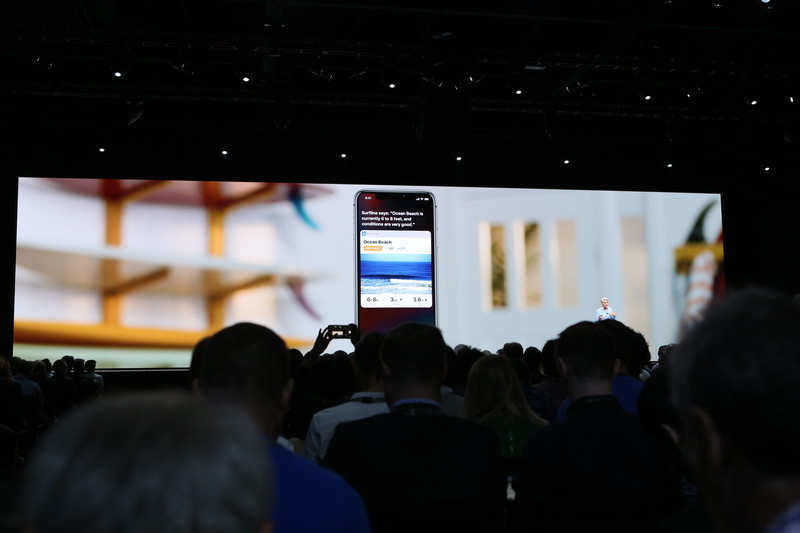 Apple didn’t have much to say about improvements to quality, but at WWDC the company did highlight updates to the interface making it easier for users to create their own commands and get proactive updates from Siri. Siri suggestions allows the digital assistant to learn from user behavior. If you have a regular coffee order, Siri can suggest that you place your order around the time of day that you would usually get it. If you’re running late to a meeting, Siri may recommend that you shoot a message to someone letting them know you’re going to be a few minutes. Shortcuts is a separate app that allows users to take control of Siri and build custom commands that integrate with third-party apps though an “add to Siri” button. With this, users could jump to information about an upcoming trip by using a shortcut into the Kayak app. Apple kind of blazed through this presentation, so we’ll definitely want to see more of how this works. It’s always best to be pretty skeptical of Siri, but these updates could be exciting developments for iOS and platforms like Watch and HomePod.